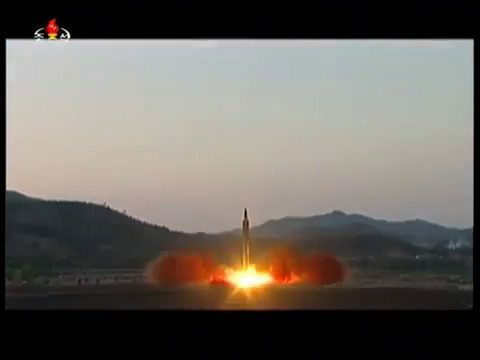 The Washington Post, Wall Street Journal, and others are reporting that North Korea has successfully created a miniaturized nuclear warhead that will fit inside its ICBM missiles. This news comes in what has been described as a “confidential assessment” by US Intelligence agencies. North Korea has threatened to use its nukes only against the United States..a suicide mission if there ever was one. Kim Jong-Un has defiantly stated there would be no negotiations over his nuclear missile program. He’s not stopping his plans, even though huge sanctions have been placed against his country. Not that it matters to a man who lets his own people starve while he makes nukes. Meanwhile, on Saturday the UN – including China and Russia – passed punishing new sanctions on the regime that will cut $1 Billion off of their annual $3 Billion earnings. KCNA, the official news media of the North Koreans, stated that the sanctions imposed “drive the people of the DPRK into great fury.” They stated that they were simply working toward self defense from US “hostility.” They have promised to “make more steel” to be self-reliant. I don’t know if he realizes that people can’t eat steel. “The resolution is the single largest economic sanctions package ever leveled on North Korea. It targets the regime’s exports of coal, iron, iron ore, lead, lead ore and seafood – the mainstays of its economy – and reduces them by about one-third. It is the most stringent set of sanctions the United Nations has leveled on any country in a generation. So the UN passed the sanctions in a win for the US, but IF the reports of him now having a nuke for his missiles are true, will Kim be stupid enough to attack the United States? According to newer reports, the ICBM missile that flew far enough to hit the US actually caught fire and disintegrated upon re-entry. They still do have a few snags to work out, despite their own bluster. Many analysts do not think Kim Jong-Un is a “crazy fat kid” as described by Senator John McCain. They see him as a cold-blooded, calculating dictator who has plans that run counter to the desires of the rest of the world. But is he just crazy enough to attack the United States? That would be the biggest suicide mission ever undertaken.